Kulhudhuffushi is the capital of Haa Dhaalu Atoll administrative division on Thiladhunmathi Atoll in the north of the Maldives. 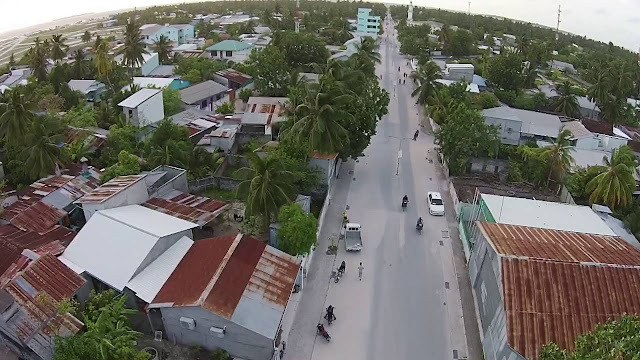 Kulhudhuffushi is known as the "Heart of the North". The island is one of the biggest and most populous islands in the Northern part of the Maldives. People from the island are known and famous for shark fishing, blacksmith works, producing rope, building boats and working in cargo vessels. The culture of the island have its own uniqueness until now. In the years 1812, 1819 and 1921, the island was affected by heavy rains and storms, causing substantial damage. The island was also affected during the Key Lakunu storm which lost half the population of the isand. Since back then the island is famous for unity and hardworkers around the Maldives. The ancient people of the island of kulhudhuffushi were famous for the courageous and bravery during the wars fought against the enemies of the nation. Apart from that people of kulhudhuffushi led the whole atoll thiladhunmathi in a rebellion act held against the male government during 1940s because of the injustice governance for the people of north at the time. Kulhudhuffushi Regional Hospital is an A-category hospital that serves the residents of the island and the isands of the region. Azneem Ahmed qualified for the 100-meter sprint in the 2012 London Olympics. Kulhudhuffushi is regarded as the basketball champions of the Maldives. Adam Ismail was a footballer during late 1950s at the time when Maldives got independence and started playing international football and also a martial artist. Football is the most widely played sport and the island holds the highest number of quality football grounds around the nation except male'. The national 2015 President's Cup Group A matches were held in Kulhudhuffushi.